As part of the 2015 LifeLink Winter Appeal, the eRecord is this month taking a closer look at the work undertaken by organisations such Identitywa, Centrecare, Catholic Ministry for People who are Deaf or Hearing Impaired, Daydawn, Emmaus Community, Emmanuel Centre, Centacare Employment & Training, Djooraminda, The Shopfront and Catholic Outreach. LifeLink is the overarching organisation that provides ongoing funding support for agencies that deliver professional services and caring support to thousands of people in need throughout Western Australia each year. 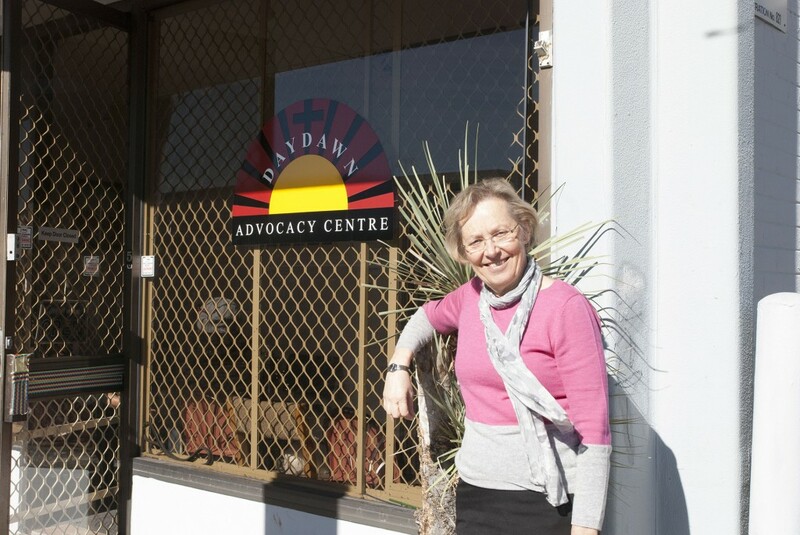 This week, the eRecord journalist Marco Ceccarelli has taken a closer look at Aboriginal advocacy agency, DayDawn, and spoken to its current director, Dr Mary McComish, about its aims, purposes and services. Daydawn is an initiative by the Roman Catholic Church in the Archdiocese of Perth that defends the rights and legitimate aspirations of Indigenous people, especially Noongar people of the South West. Since the WA Department of Housing’s tough “Three Strikes Disruptive Behaviour Policy” came into effect in 2011, Aboriginal women and children have often been on the receiving end of eviction notices that put them at risk of homelessness. With often little or no control over incidents involving domestic violence, women are faced to deal with complaints from neighbours which, when accumulated, can lead to eviction from their premises. This is but one of the scenarios which the Daydawn Advocacy Centre deals with as it strives to offer assistance to Indigenous people at the risk of eviction from private or public housing, or experiencing homelessness. Originally established by Archbishop Emeritus Barry Hickey in ¬¬¬¬2007, Daydawn was created with the aim of helping people in their applications for housing, property listings and transfers. The centre affirms the God-given dignity of every person by promoting the rights of the individual and the full participation of the Indigenous population in society. “As a Christian organisation, we don’t just service the needs of those who seek our help but we look on them as people made in the image of God who have innate rights,” said Director Mary McComish, a legal practitioner and former Dean of Law at Notre Dame University, Fremantle. “Yet, in many areas, those rights aren’t really respected. I think there is a huge amount of room in our society for a Christian organisation such as Daydawn which can view Aboriginal people as whole people and support them, while at the same time servicing their specific needs,” she added. When she first began working at Daydawn, it did not take long for Dr McComish to understand that being present in people’s lives, befriending them and lending them support, was equally as important, if not more, than offering legal advice. “One of the first clients I took to the State Administrative Tribunal over a discrimination case was a lady with children who had been evicted from their home. While we weren’t successful in winning the case, we became friends and now Daydawn has managed to re-house her and her children. “She is doing very well, she is happy and her children are in school. Dealing with issues linked to domestic violence is not the only item on Daydawn’s agenda. The centre also advocates, lobbies and negotiates with government and non-government agencies about enquiries concerning waiting-list lengths, environmental health issues related to tenancies, and appeals against rental arrears, water consumption charges and tenant liability charges. It offers mutual help programs for the relief of sickness, distress and suffering within the Indigenous community and provides medical, financial, educational and social services. Daydawn also provides advice about the WA Department of Housing policies and other procedures, including allegations of anti-social behaviour. Court representation relating to tenancy issues is also provided. As a Catholic organisation, Daydawn works closely with the Catholic Aboriginal Ministry to promote the full inclusion of Aboriginal people in the life, worship, education and spirit-filled community of the Church at every level. In this context, reconciliation initiatives based on mutual forgiveness and unity as one family under God are also a priority for the centre. Many of the clients who seek help from Daydawn are women who may be mothers, grandmothers and/or aunts, most of whom have children or have taken in a family member’s children. A recipient of a number of different services from Daydawn who wished to remain anonymous said that Daydawn had a significant impact on their life. “The centre has helped both me and a lot of people that I know, particularly for matters related to housing. Daydawn is run by a team of dedicated and committed volunteers, including Betsy and David Buchanan who have worked with Aboriginal people for more than 35 years. Your support for the 2015 LifeLink Winter Appeal means that the work of organisations like Daydawn can continue to work with those most in need. The aim this year is to raise more than $300,000 – a figure that is greatly needed to help agencies and organisations that assist those in need in a variety of situations – whether it be in the form of practical emergency assistance or long-term support. To donate to LifeLink, go to www.lifelink.com.au or Click Here. Dr Marco Ceccarelli completed his PhD research in History and European Studies at The University of Western Australia with a focus on Catholic journalism and its response to 21st century Islamic terrorism.